There’s an old Chinese proverb that basically says ‘Be careful what you pray for’. This came into my head last week during a visit to Tokyo. As always, I’d missed the cherry blossom. I’m usually too early, and there’s boughs full of the stuff coyly in bud. As I take off they collectively burst out in a pink and white glory, waving up at my plane. This time I was too late. A few sad petals clung to their twigs on the stretch from the airport, and here and there were drifts of blossom. But stay with me, readers; this is not a eulogy on oriental fauna. My licensing manager, the ever patient Mr Uchida, took us on a sightseeing tour of Tokyo. I’d seem most of it before, but my companion had never been, and the first time you see a Japanese department store, or a Shinto shrine, it is quite a moment. We visited the Seibu store, where I was cheered to see a beautiful display of my licensed shirts, ties and my cufflinks. The Japanese produce intriguing designs just for their market; my favourite was a printed shirt featuring camouflage pandas. Don’t ask. The store seemed busy. 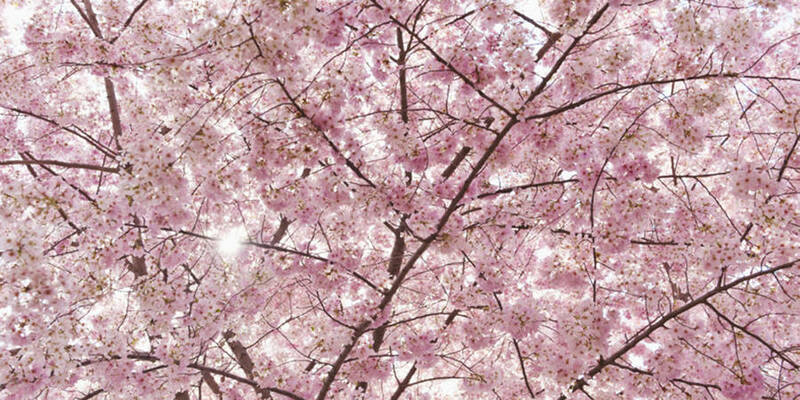 ‘You should have seen it at cherry blossom week, said Mr Uchida. ‘It was so busy they were queuing to get in’. My Abe’s government has recently relaxed the rules for Chinese visitors, making it considerably easier for them to come over and spend. And spend they do; that particular week, 30% of Seibu’s turnover had come from Chinese tourists. There’s much talk here in the UK about relaxing visa requirements for the Chinese and the Home Office would do well to look at Japan’s model. ‘That’s great!’ I said, ‘good for all the stores.’ Mr Uchida didn’t look happy. ‘Hmmm’, he said, which is as bad as it gets in Japanese, ‘not always so good’. I did hope that China and Japan’s recent sabre rattling over their disputed islands may have been forgotten in the race to buy Tokyo’s luxury goods. But no, his reticence was more prosaic. Apparently, the Chinese are so intrigued and enamoured by the cherry blossom tradition, that their enthusiasm extends to pulling branches off the trees and taking them home as souvenirs. ‘Look over there,’ he said, pointing to a sign on the lawn at the shrine. Written in Chinese, it explained that it was forbidden to pull off the branches. In Mr. Uchida’s opinion, the rush to open Japan’s doors to the Chinese was a very mixed blessing. I just hope that next year I see the blossom before it’s all shipped to Shanghai.